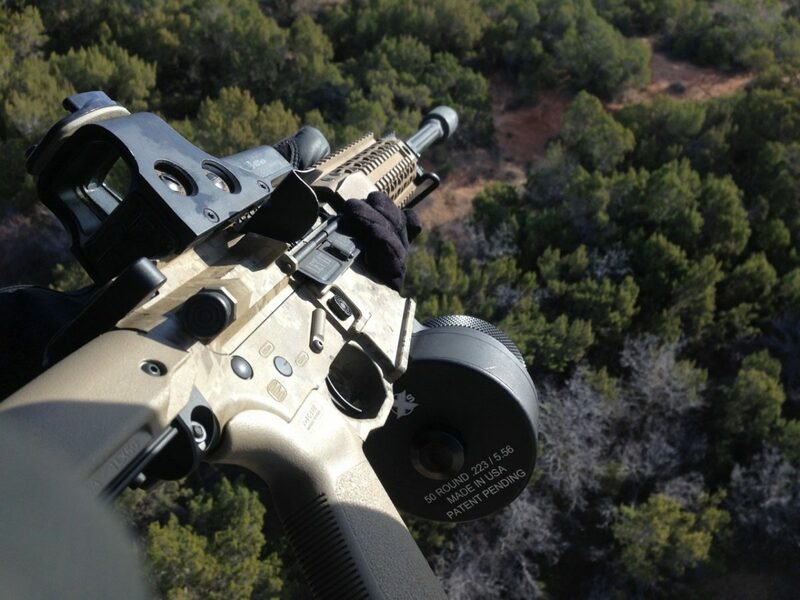 Helicopter Hog Hunting has been on my bucket list even before Texas made it legal. I was recently able to participate in another hunt with Cedar Ridge Aviation outside of Knox City, TX. Dustin and Eric have a great crew at Cedar Ridge. They have an R44 and 2 R22s for all the hunts. I was staying with another fellow who would be hunting at the same time as me from a different bird. This way the choppers can work as a team to find the varmints and herd them out in the open for clean kill shots. After a great dinner provided by the lodge I toyed around with one of the Black Rain Ordinance AR15 rifles that Cedar Ridge likes you to use. They prefer to have their own equipment for reliability as well as safety because a spent brass casing flying into the rotors can mean a really bad day, a short flight, and a fast fall in a helicopter. So all rifles have mounted brass deflectors to keep us all from such an accident. They also told me that they were successfully torture testing the guns by tossing them out of the chopper at 300′, so they are pretty robust as well. This also gave me an idea for my Elzetta flashlight, you can see what happened there later on. But I was happy to use the AR15 rifle with provided soft point .223 rounds and even loaded up a special magazine I brought for myself, the X Products 50 round drum. It was a little chilly when we took off, but as soon as Johnson quickly lifted off and spun us backwards in a 360 degree circle I was glad I had made the long trip. Such a cool ride in the early morning. Dustin and Shane are pro pilots and they fly those birds just as simply as I drive a 4wheeler. It’s just second nature to them and you don’t have any worries that they have it all under control. 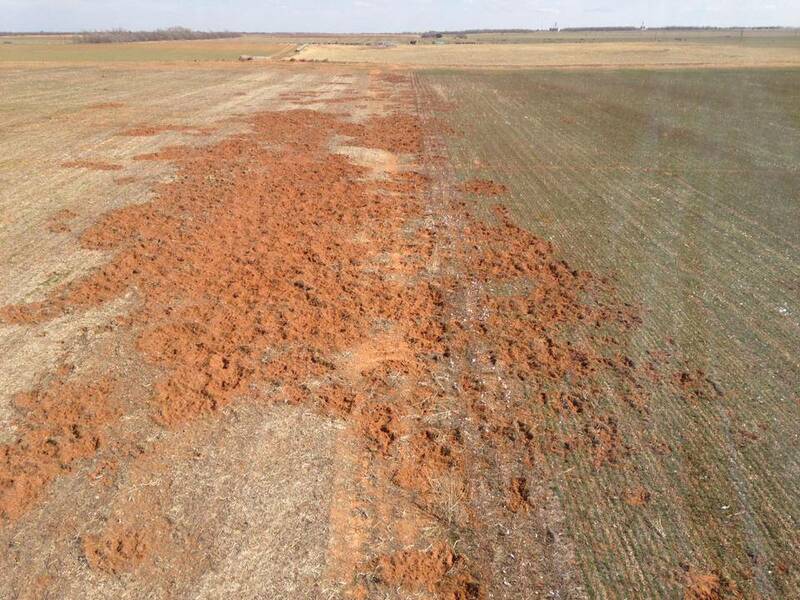 Soon enough we started seeing hogs and coyotes to eliminate. Once spotted the pilot will chase the creatures out from the brush into the open and tail them for the shooter to take out. 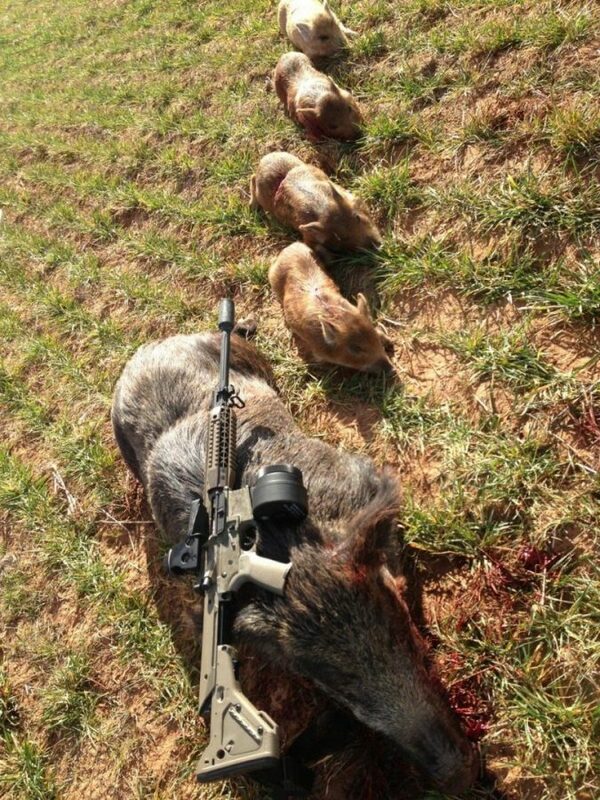 Grand total for the day after about 2 hours in the air was 11 hogs and 6 coyotes. Try getting that type of action sitting in a stand in 120 minutes.